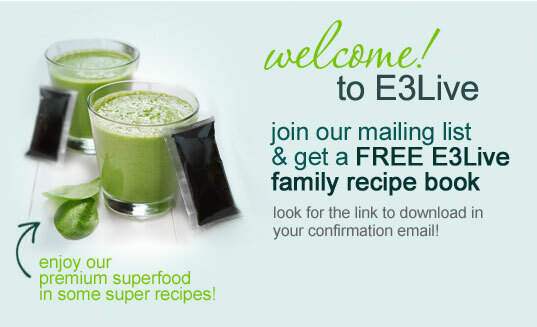 Lucky Green Smoothie - Great for Kids! Super Green Smoothie - Great for Kids! Served here with a portobello mushroom steak, pan-fried potatoes and steamed asparagus. 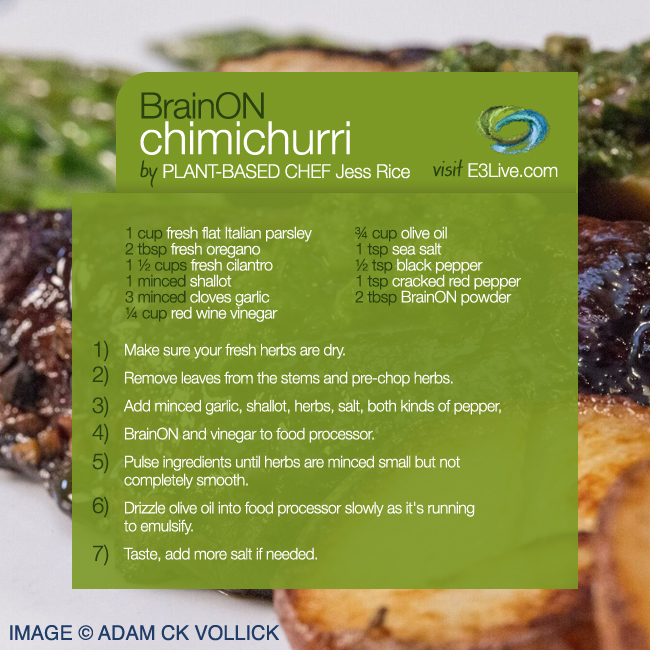 Trust me: this chimichurri is your new favorite condiment! It’s the perfect addition to any rich, savory dish that needs a little brightening up. Make sure your fresh herbs are dry. Remove leaves from the stems and pre-chop herbs. Add minced garlic, shallot, herbs, salt, both kinds of pepper, BrainON and vinegar to food processor. Pulse ingredients until herbs are minced small but not completely smooth. Drizzle olive oil into food processor slowly as it's running to emulsify. Taste, add more salt if needed.